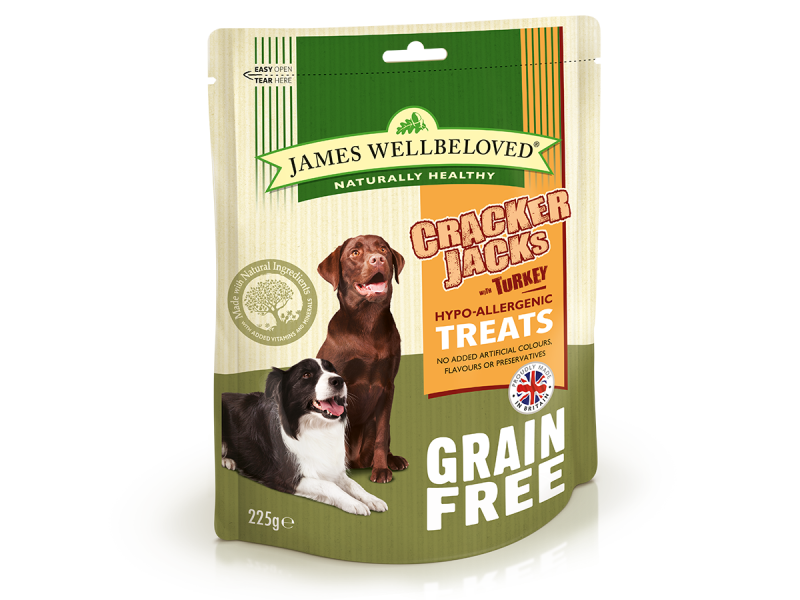 James Wellbeloved CrackerJacks are hypoallergenic treats available in four fantastic flavours: Lamb, Duck, Turkey and Ocean White Fish. All part of a unique blend of rice and seasoned herbs. They are that special treat for your dog, containing all the goodness available in the complete pet food range. 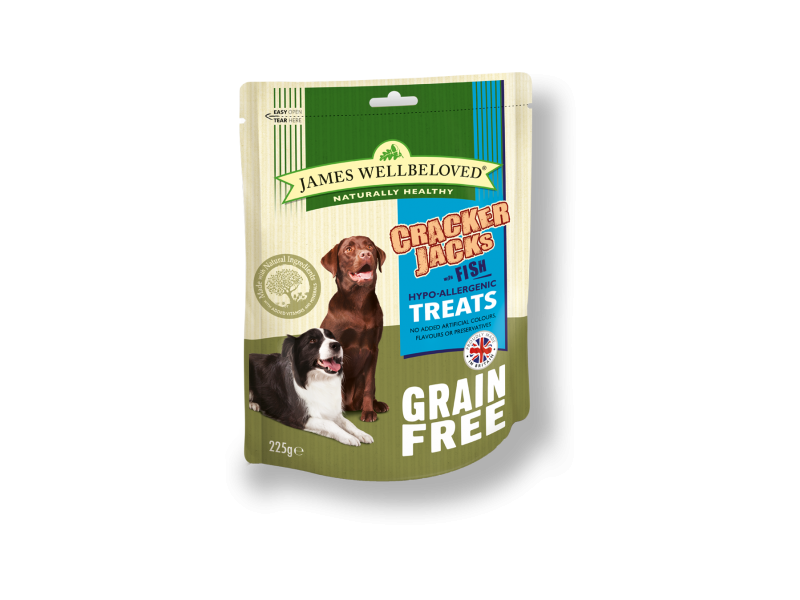 The packaging is resealable for keeping treats fresh. 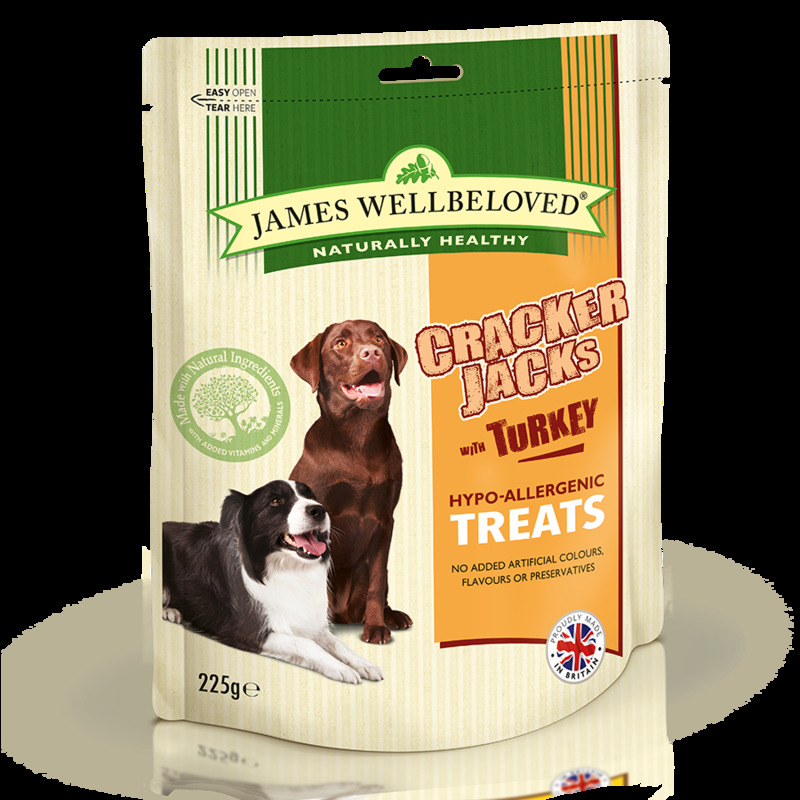 Protein 15%, oil 12.5%, ash 7%, fibre 6% with antioxidant: tocopherol-rich extracts of natural origin. 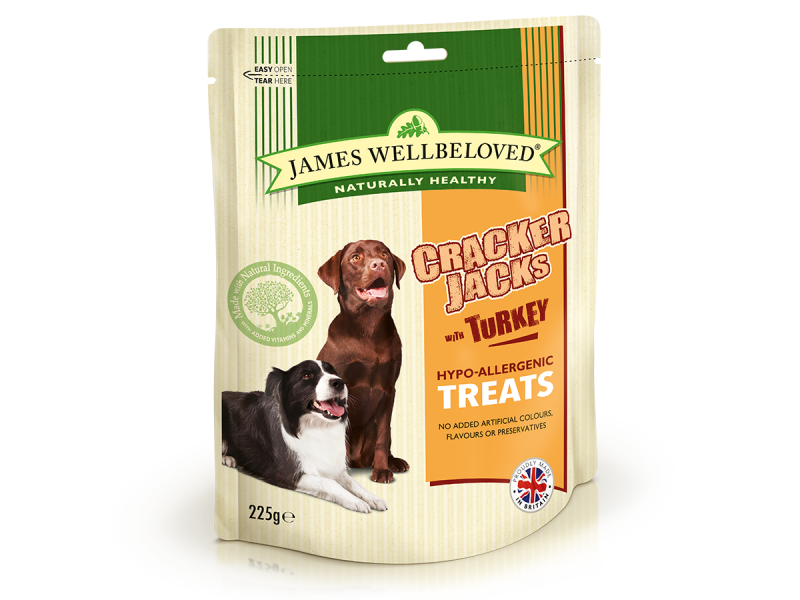 Protein 15%, oil 12.5%, ash 6%, fibre 6% with antioxidant: tocopherol-rich extracts of natural origin. 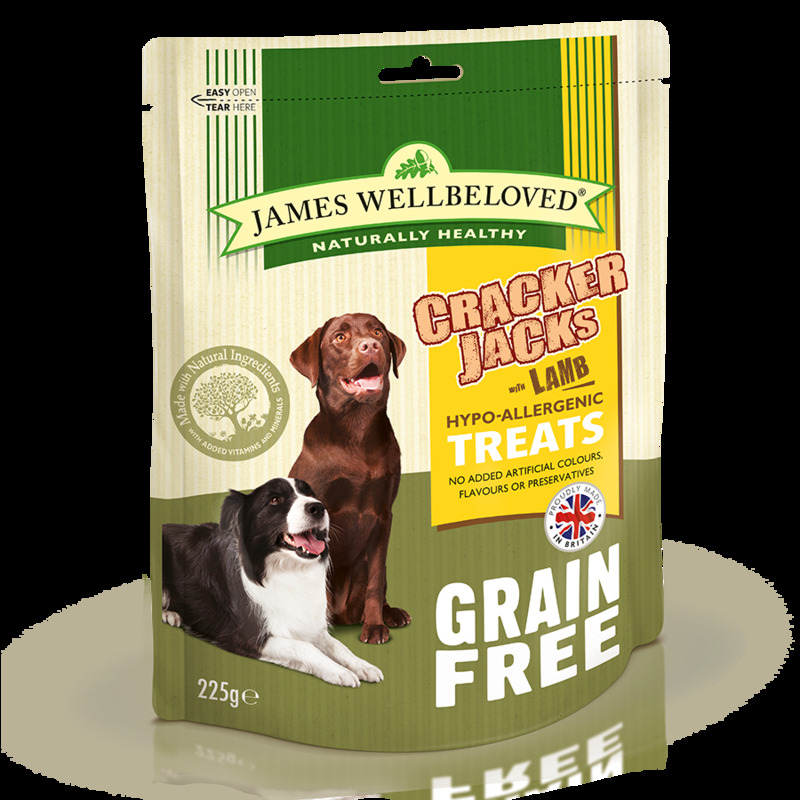 Below are some recent questions we've received regarding James Wellbeloved CrackerJacks Dog Treats, including answers from our team. These come in small bone shaped pieces, they are approx 5cm x 3cm and can easily be broken into pieces for smaller dogs.